Do you want to make your party extra special with the party mood with limo? If yes, then limousine hire on London is one of the ideal things you need to get in touch with. Limo services in London provide an essential opportunity for a reliable and safe transportation regardless of the special event you are going to attend to. This is the reason why most of the people in London who are going to attend to a certain party are really looking forward to best limousine service providers for their safe and reliable transportation processes. 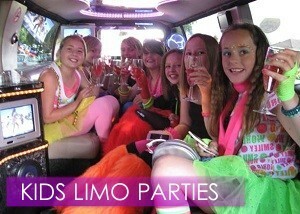 Birthday limo London is a great way to make your birthday party more exciting and memorable regardless of your age. Whatever type of birthday party you wish to attend to, such stylish and elegant transportation can truly make memories made to lasts. Anytime you wanted to attend to the birthday party, limousine service providers in London can give you the best type of limousine suited to the theme of the birthday party you are going to attend to. Hen or Stag parties serve as a great opportunity in London for you to hire for the best means of transportation. If you plan to have the party with some of your friends, having a professional limousine driver who could drop you at the exact location of the party could make the event more fun, exciting and enjoyable. This is due to the fact that you need not to worry anymore on how you and your friends will be going back home since you are accompanied with a driver. Limousine service in London is an effective way to have excitement and fun at the same time to arrive home fast and safely. Attending to a school prom is one of the most exciting events that teens are experiencing. This is the reason why you’ve seen people who are attending to such type of event at their most elegant and appealing look and attire. 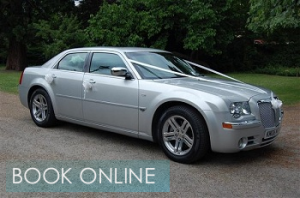 The excitement and appealing look in such kind of event will not be complete without having the best car to ride in going to the school prom. On that note school prom limousine hire in London is one of the best options that you may choose. School prom limo hire will give you the best limousine that could make you feel stunning, elegant and stylish as you step out of the limousine. Where to Hire the Best Party Event Limousine in London? There are lots of companies that are offering limousine services in London that you may get in touch with. But, choosing the best one could be a bit difficult specially there are lots of choices to choose from. Well, one of the highly recommended limousine service providers in London for party events is known to be the BOOKLIMO. They are going to give you the best limousine that is suitable for your budget and appropriate for the party events you wish to attend to.